San Mateo, California-headquartered information security startup PerimeterX Inc. has raised $43 million in a series C funding round led by California-based Scale Venture Partners, PerimeterX announced Monday. Investors in the round, which brought PerimeterX’s equity raised to $78 million, include Adams Street Partners and existing investors Canaan Partners, Vertex Ventures, and Data Collective. Founded in 2014 by three Israeli expats, PerimeterX develops a system that identifies and blocks malicious bots to prevent the spread of fake news and phishing and fraud attempts. 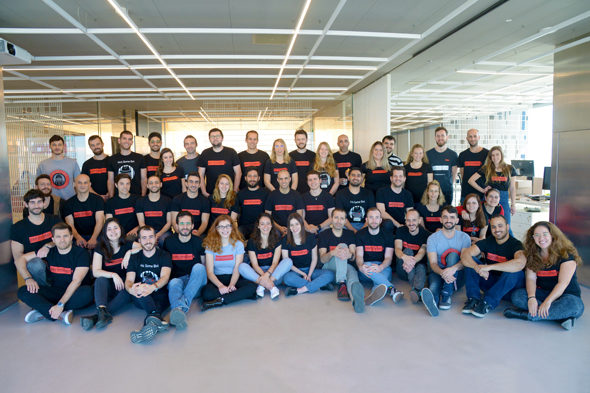 The company employs 140 people, about half of them in Tel Aviv, PerimeterX’s co-founder and chief technology officer Ido Safruti said in a phone interview with Calcalist Monday. The company intends to hire 100 additional people within the next year, 50 of them in Israel and the rest in offices in Asia and Europe, Safruti said. “Most cyber attacks are made by bots, rather than human operators,” Safruti said. Such attacks may range from using website vulnerabilities to steal credit card data to crawling a competing website to keep tabs on prices and special offers, he added.